Police have formed a special task group to investigate the murder of a businessman and his driver, who were shot dead by two motorcycle-riding gunmen while they were on board a van on EDSA in Mandaluyong City Sunday afternoon. Metro Manila police chief Guillermo Eleazar said the businessman, Jose Luis Yulo, 62, died from eight gunshot wounds. Also killed was Yulo’s driver, Allan Momer Santos, 55. The woman in the van, 38-year-old stockbroker Esmeralda Ignacio, was wounded and taken to VRP Medical Center. Eleazar said Yulo was a namesake of Chamber of Commerce of the Philippine Islands president Jose Luis U. Yulo Jr. The victims were on board a Toyota Hi Ace Grandia and had just come from a drag racing event at the Clark International Speedway in Angeles City when they were attacked at about 3:23 p.m.
PNP spokesman Sr. Supt, Bernard Banac said the Criminal Investigation and Detection Group, was looking for CCTV footage near the crime scene to identify what motorcycle they used and determine their getaway route. Mandaluyong City Police Chief Sr. Supt. Moises Villaceran told CNN Philippines that Yulo was the clear target of the assassins. 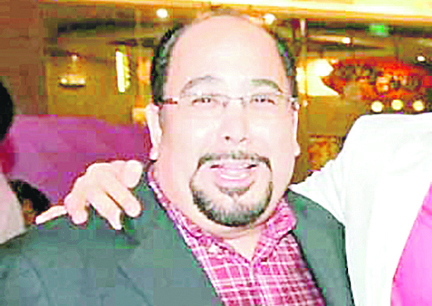 “He has a lot of businesses in Metro Manila and Laguna. We are now looking [into whether this was] related to his business,” he said. Villaceran said they would deploy more personnel along the eastern portion of EDSA to increase police visibility and to deter crime.